Look at this stuff -- isn't it neat? Wouldn't you think I'm the girl ... the girl who has everything? If it's possible for me to have a very favorite movie, The Little Mermaid would be at the top of the list. I was enamored of the story even when all I knew was the Hans Christian Andersen version -- and when the movie came out in 1989, I was instantly hooked. No matter how many times I watch it, or how many times I listen to "Part of Your World," the story gets me. So it's only natural that I am totally in love with the new collection from Disney Couture -- The Little Mermaid Collection, of course! Check out some of my favorite pieces after the jump. 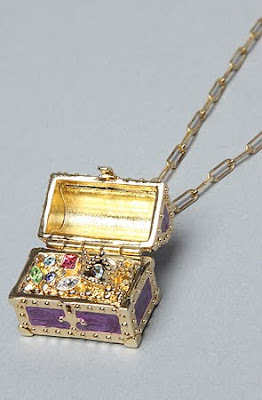 Treasure Chest Necklace ($75): I love that the necklace is already so adorable -- and then it opens up to reveal buried, sparkling crystal treasure! 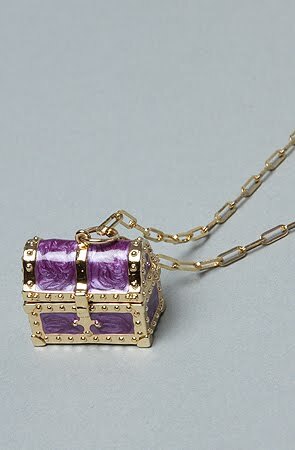 The clasp even has a little starfish attached to it. 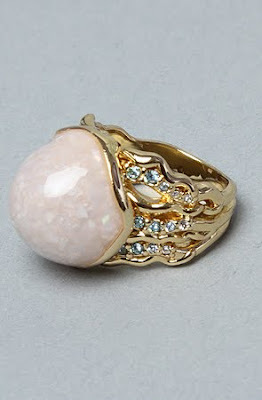 Perfect with a plain white tee and skinny jeans. 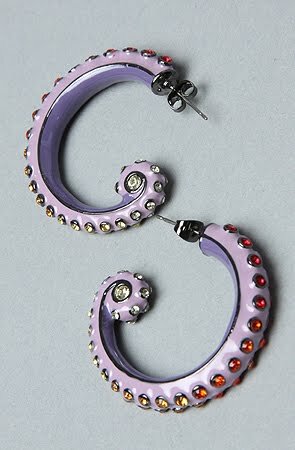 Octopus Hoop Earrings ($58): As if my love for hoop earrings couldn't grow any stronger ... these are in my very favorite colors! They're inspired by octopus tentacles -- and, if the purple hue doesn't give you any indication, speak to the villain inside each of us. Hidden Pearl Ring ($69): As if one pearl weren't enough ... this gumball-shaped cocktail ring opens to reveal another one, surrounded by a bed of crystal jewels! 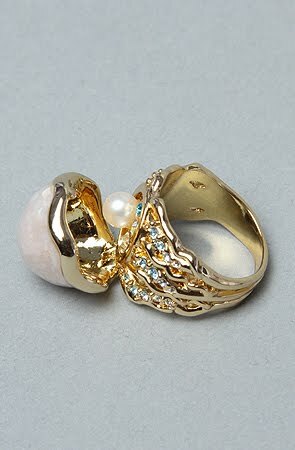 I love big rings, and this is definitely going on my index finger. Fish Hook Hoop Earrings ($40): If you're looking for gold hoops with just a little kick, this is the pair to get your hooks into. The slender, elegant silhouette is 14K gold plated and includes a little hook at the end -- just make sure you're not the bait! 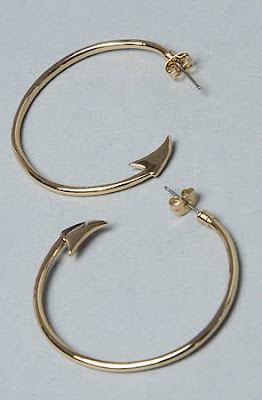 I just bought the Fish Hook Earrings from Karmaloop. 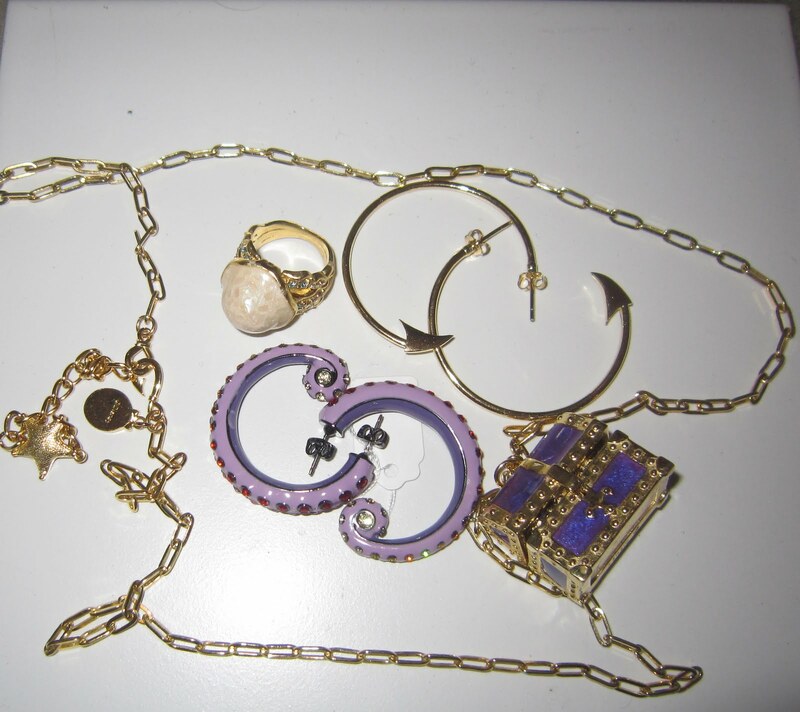 I've been wanting them for a while but felt a little uncomfortable paying $40 since they're not real gold. Still, I think they were too cute to pass up!